America’s recently rekindled love affair with Top Gun will culminate with a theatrical re-release in nostalgia-enhancing, retro-converted 3-D—the best kind of both 3-D and nostalgia—sometime in 2012. The conversion is being handled company called Legend 3-D, whose pointed refusal to first convert a certain other Tom Cruise/Scott brother movie definitely seems like an act of defiance. 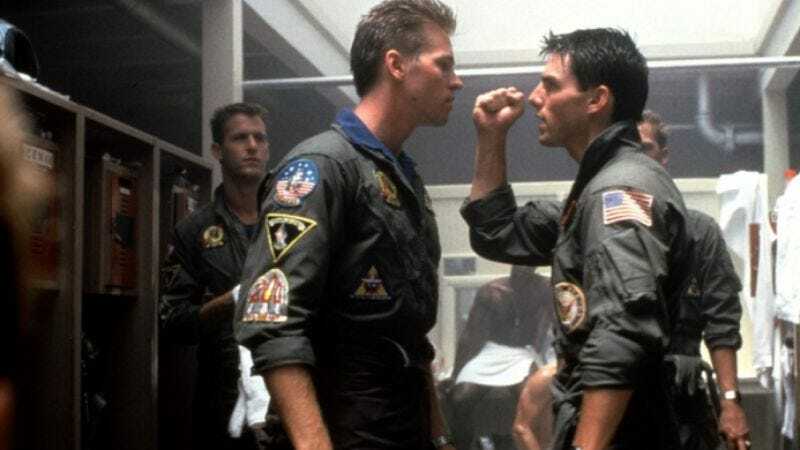 Alas, those who long to immerse themselves in a story of fairies and unicorns will have to settle for the slightly less macho 3-D volleyball slapfight between Cruise and Val Kilmer, provided the finished project meets with director Tony Scott’s approval. In the meantime, attendees of Amsterdam’s recent International Broadcasting Convention got a sneak-peek at a four-minute preview of the newly 3-D “Danger Zone” sequence—a show of American strength that explains why the nation feels just a little bit safer today.